What can I say? Go Utes! COMMENTARY – Last month I had the opportunity to see my first child and only son married. It was quite an experience! As I think back on my son and his wife starting their new life together, I can’t help but notice some parallels with Utah’s football team starting a new season. Something old. While I would never say this to his face, Head Coach Kyle Whittingham fits the bill for something old. Without even addressing his age, just his mere tenure on The Hill qualifies him for this role. 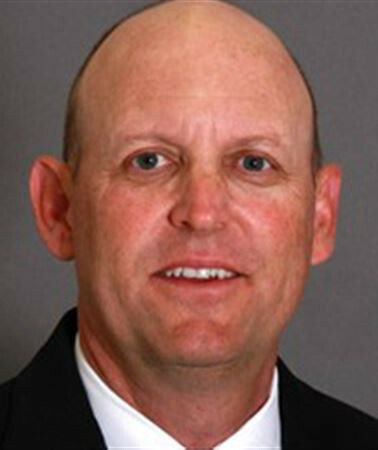 Whittingham has been a coach for the Utes for 23 years, including 12 years as the head coach. He has participated in more Utah victories—189—than any football coach in school history, including a 104-50 record as the man in charge. Not only is Whittingham the longest tenured head coach in the Pac-12, but he is tied for third as the longest tenured head coach in the country. In the revolving door world of collegiate athletics in which fans’ and boosters’ patience wears all too thin, Whittingham’s tenure speaks volumes about his talent and the respect he deserves. In wedding parlance, something old represents continuity. Whittingham most definitely represents continuity and stability, treasured traits for a program otherwise going through some significant changes. Something new. New offensive coordinator and quarterbacks coach in Troy Taylor, new offensive scheme, new starting quarterback in sophomore Tyler Huntley, and, quite frankly, new hope. The Ute offense has been the Achilles heel of this team for years. The last time the offense played up to the level of the defense, Utah went undefeated and ran rough-shod over Alabama in the Sugar Bowl. While Troy Williams is a known commodity and somewhat of a safety net, his ceiling is also apparent. Tyler Huntley impressed Taylor to the point that Taylor handed him the keys to the Utes’ shiny new offense. Taylor understands what it takes to run his offense, and rather than second-guess his selection of a starting quarterback, I am excited about the possibilities it presents. Utah’s offense also boasts an unprecedented starting trio of sophomores at key skill positions who played together at the same high school — Huntley at quarterback, Zack Moss at running back and Demari Simpkins at wide receiver. Something new for a wedding represents optimism for the future, and fans have plenty to be optimistic about with the new changes on The Hill. The Pac-12 Media have picked Utah to place second in the South Division behind USC, whom many believe is a national playoff contender. The Utes also check in at No. 25 in the preseason Coaches Poll. Nevertheless, fans should temper their expectations. It is always difficult for players to adjust to a new scheme. Recent implementation often translates into poor execution (with Exhibit A being BYU’s poor performance against Portland State last weekend). As the players get more comfortable with the system over the course of the season, and especially with an additional off-season leading into next season, the better able they will be to execute what could potentially be a very explosive offense. Taylor also needs to be given a year or two to recruit players that fit his scheme. Will Utah’s offense be better this year? It should be (it better be). But the offense is still making the journey to greatness and it is unlikely to arrive at that destination this season. Something borrowed. In reference to weddings, something borrowed represents borrowed happiness. The newlyweds draw on the happiness and support of family and friends to get their own marriage off on the right foot. To describe most fans as merely happy would be a gross understatement. Ute nation is chomping at the bit for the start of the new season. Hope always springs eternal in the fall, when every team is undefeated, and the inevitable turnover in collegiate athletics feeds the belief that such change will be for the better this year. 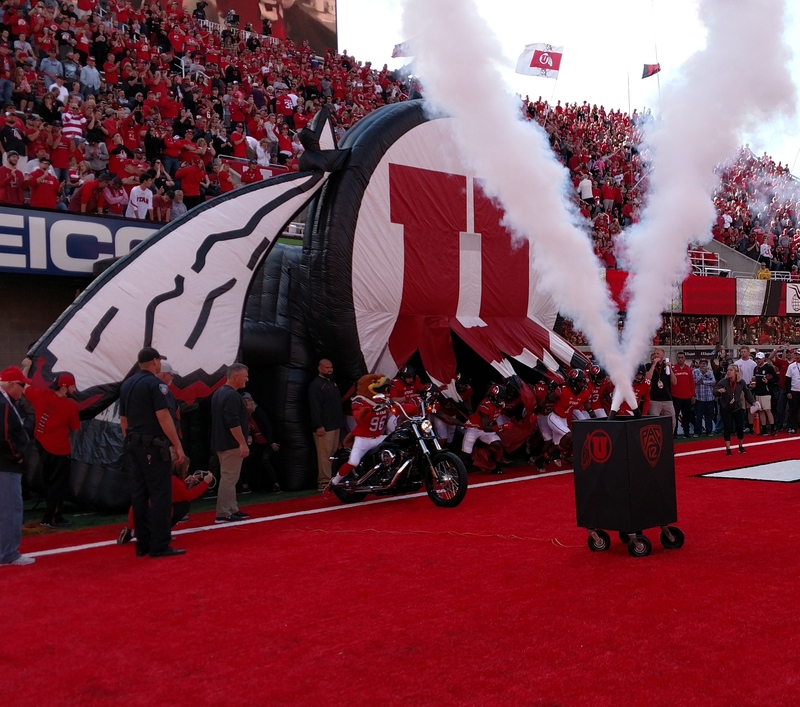 Utah’s stadium can be absolutely electrifying on game day. The players can draw on the energy from the fans to help fuel them to kickstart their season as they settle in with the new offensive scheme and other changes in the program this year. However, the support from the fans will only last as long as the Utes give them reason to cheer. The symbiotic relationship between fans and players can either turn into a synergistic cycle to the benefit of the fans and continuing support of the players, or degenerate into a vicious circle spiraling in the other direction. I sincerely hope it is the former. Something blue. BYU is back on Utah’s regular-season schedule this year. I love this rivalry and am excited to see it continue. Unfortunately for Cougar fans, blue also happens to be the color that will best describe them after the Utes trounce BYU in Provo on Sept. 9. But I am getting ahead of myself. Utah kicks off the season with a home tune-up against North Dakota this Thursday at 5:30 p.m.
Here’s hoping Utah gets off to a great start to what could be a great season on Thursday night on The Hill. Bleeding Red is sports column written by Dwayne Vance. The opinions expressed are not necessarily those of St. George News.